Matt Smith has been named as the actor who will take over from David Tennant in Doctor Who - making him the youngest actor to take on the role. 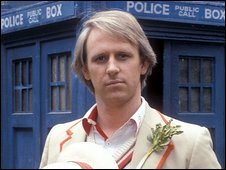 At 26, Smith is three years younger than Peter Davison when he signed up to play the fifth Doctor in 1981. He was cast over Christmas and will begin filming for the fifth series of Doctor Who in the summer. 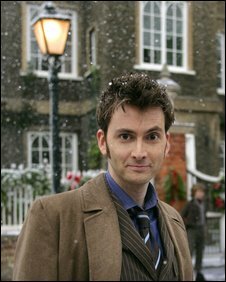 Tennant is filming four specials in 2009. 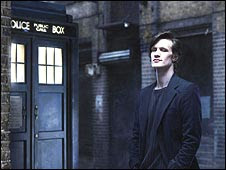 Smith was named as Tennant's replacement in Saturday's edition of Doctor Who Confidential on BBC One. He said: "I feel proud and honoured to have been given this opportunity to join a team of people that has worked so tirelessly to make the show so thrilling. Piers Wenger, head of drama at BBC Wales, said that as soon as he had seen Smith's audition he "knew he was the one". "It was abundantly clear that he had that 'Doctor-ness' about him," he said. "You are either the Doctor or you are not. It's just the beginning of the journey for Matt. "With Steven Moffat's scripts and the expertise of the production team in Cardiff behind him, there is no one more perfect to be taking the Tardis to exciting new futures when the series returns in 2010." Wenger said a broad range of people had been auditioned, but they had not set out to cast the youngest Doctor. He was born in Northampton in 1982 and studied drama and creative writing at the University of East Anglia. The star is due to begin shooting the first special this month, just weeks after surgery on his back forced him to pull out of a London run of Hamlet. The last of these special episodes is expected to run in early 2010. With a new creative team in place for the 2010 series led by executive producers Steven Moffat and Piers Wenger, the casting of the Doctor was the first job to be completed before scripts could be finalised. After a TV movie in 1996 - starring Paul McGann - the TV series returned in 2005 with Christopher Eccleston in the lead role. Tennant took over the same year.